Discover the magic of Dr. Seuss’ classic holiday tale as it comes to life on stage. Featuring the hit songs “You’re A Mean One, Mr. Grinch” and “Welcome Christmas,” The Grinch discovers there’s more to Christmas than he bargained for in this heart-warming holiday classic. Max the Dog narrates as the mean and scheming Grinch, whose heart is “two sizes too small,” decides to steal Christmas away from the holiday-loving Whos. Celebrate the holidays with the show The New York Times calls "100 times better than any bedtime story!" Run Time: 85 minutes with no intermission. "AN EXTRAORDINARY PERFORMANCE! 100 times better than any bedtime story." "AN AWESOME FIRST BROADWAY MUSICAL FOR KIDS! A bright, tuneful, neatly packaged expansion of the book." "A GENIUS OF A SHOW! A TOTAL DELIGHT FOR BOTH KIDS AND ADULTS. For a family on a holiday-season outing, it's the right ticket." 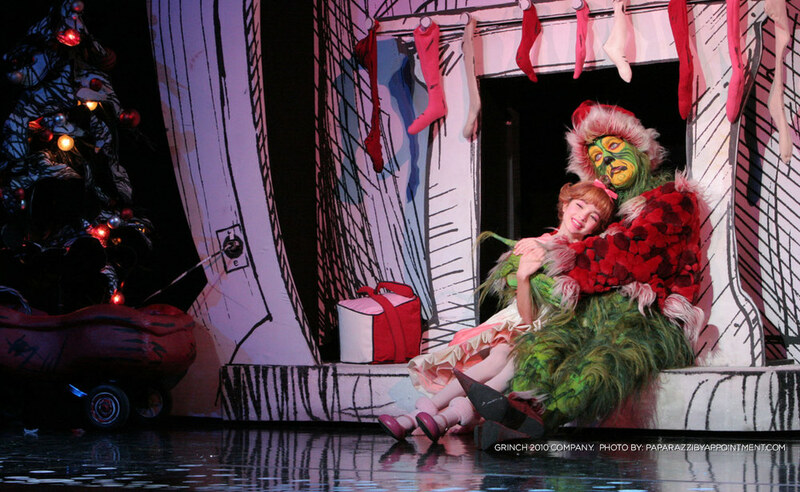 "THE GRINCH'S TRIUMPH IS DEFINITELY BROADWAY'S GAIN. The spectacle warms the hearts of everybody." "THE MOST LOVEABLE CHRISTMAS VILLAIN OF THEM ALL! This Grinch brings the Dr. Seuss classic fancifully to life - you might find your heart growing a few sizes, too." "In heart, soul and pure entertainment, THE GRINCH HAS WICKED AND YOUNG FRANKENSTEIN BEAT!" 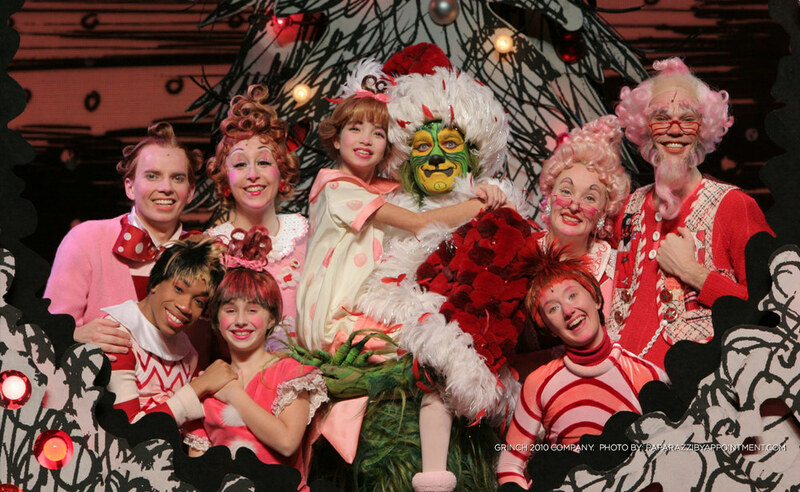 "Infused with the spirit of Seuss – IT'S A NEW CHRISTMAS TRADITION"
In Dr. Seuss' How The Grinch Stole Christmas! The Musical, Max the Dog narrates as the mean and scheming Grinch, whose heart is "two sizes too small," decides to steal Christmas away from the Holiday loving Whos. The World Premiere Recording includes cast members from the original Broadway cast and features the hit songs "You're A Mean One, Mr. Grinch" and "Welcome Christmas" from the beloved original animated series, plus a bonus recording of Where Are You Christmas from the live action Grinch movie. With additional music and lyrics by Mel Marvin and Timothy Mason, Dr. Seuss' How The Grinch Stole Christmas! The Musical breathes new life into the timeless story of the true meaning of Christmas. THE GRINCH IS COMING TO STEAL CHRISTMAS IN A CITY NEAR YOU! *PLEASE NOTE: The licensing rights for this show have not been released. Please check back with the website periodically to see if they become available.